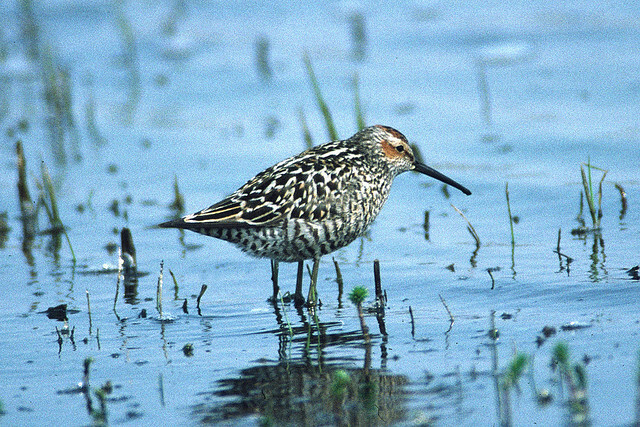 The Stilt Sandpiper is a North American breeding bird , crossing the Atlantic in very exceptional circumstances. 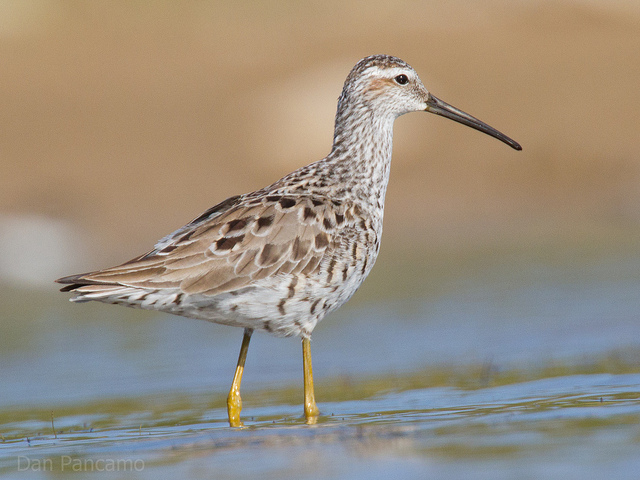 Normally the Stilt Sandpiper hibernates in Central and South America. It has relatively long yellow legs.